What do a poet and a potter have in common? Isn’t the daily task of working with clay, be it plugging, glazing or trimming pots ready to be fired in the kiln much the same as writing zero drafts in a journal and moulding these entries into poetry for publication? After many years of taking notes at Fergus Stewart’s pottery studios, Kathy Kituai and Fergus Stewart, who both endeavour to capture the ordinary moment in their art, came to the conclusion that the main difference between pottery and poetry, was only an extra “t”. 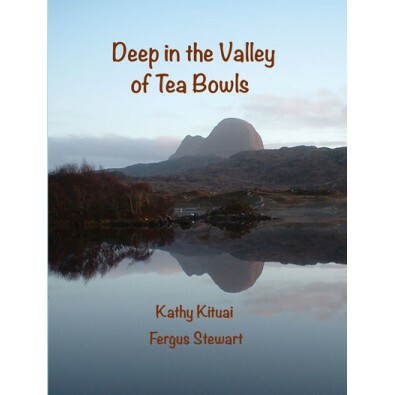 Deep in the Valley of Tea Bowls, then, sets the process of craft into a fluid dialogue between art forms — pottery and poems — with pleasing and sometimes surprising results.